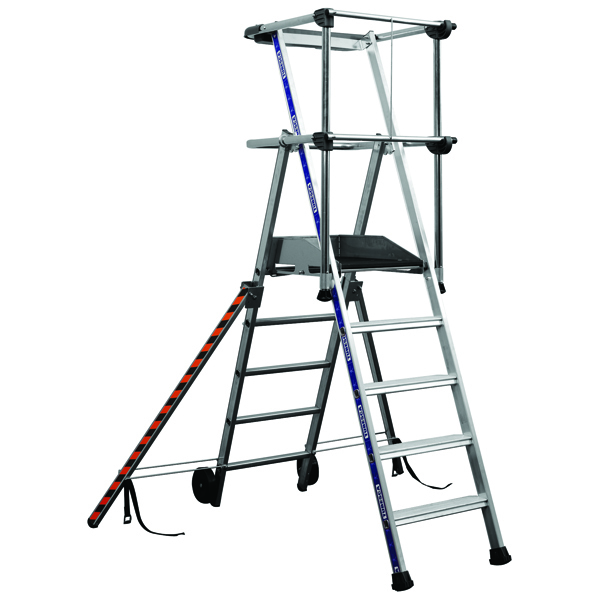 This high quality, 5 tread aluminium ladder has a 1200mm fixed height work platform with safety guard rails on all three sides and a gated closure on the fourth side. Fitted wirth 2 wheels for ease of mobility, the ladder also features high visibility stabiliser legs, which fold in when not in use. The whole structure also folds for ease of handling and transportation around your site. The ladder weighs 24.5kg and has a maximum permissible load of 150kg.